Have no idea of copying the data from your old phone to the new one on Mac due to the different platforms? 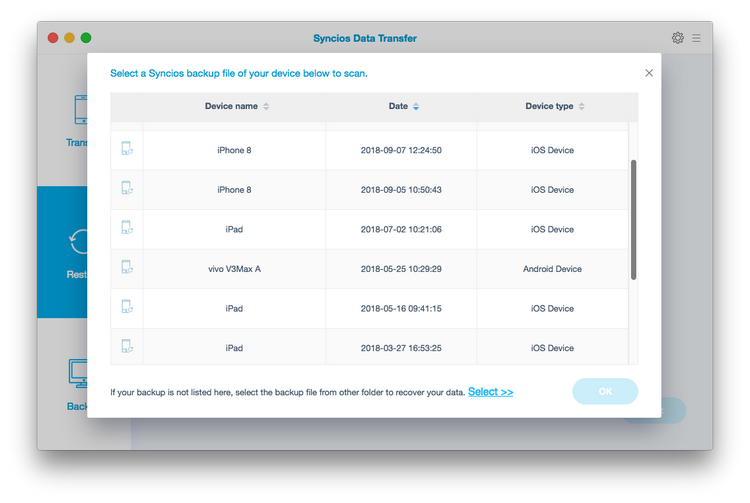 Syncios Data Transfer makes it easy to transfer data among Android and iOS phones freely without losing anything. 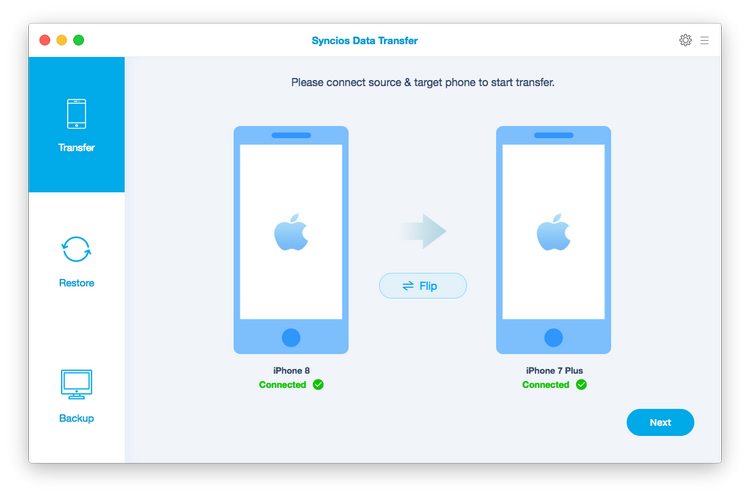 How to Transfer Contacts, Messages, Music, Photos and more between iOS and Android Phones on Mac? 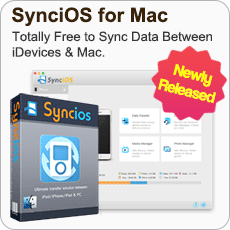 Run Syncios Data Transfer on Your Mac, you will see main 3 modules in the main window. To transfer content from one to another, put your mouse over Transfer mode. Now you should have arrived at the phone transfer window. Connect your two devices with USB cables. 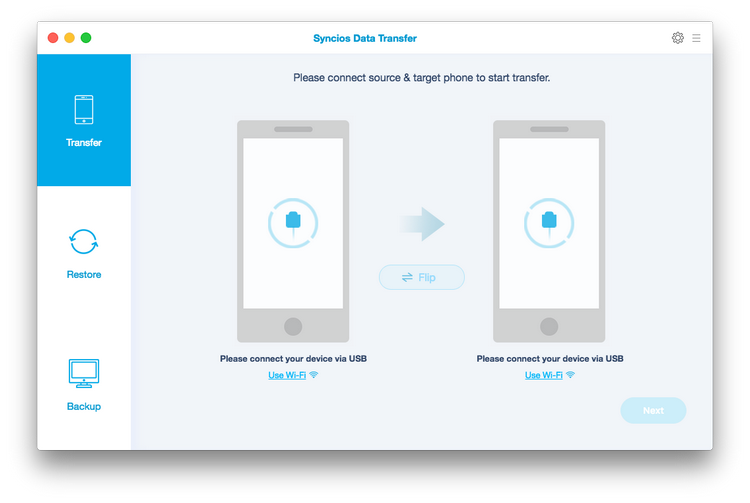 Once recognized, your devices will automatically be displayed within the transfer window. 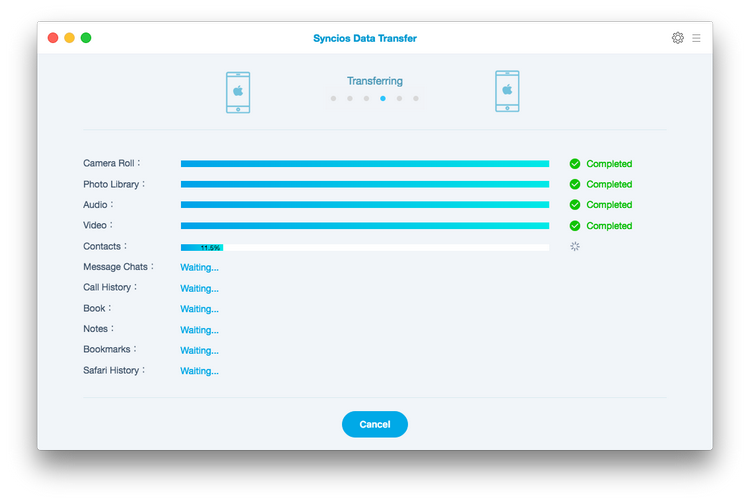 Select whether you would like to transfer all contents or select individual data you would like to transfer. Your devices will be displayed in "Source" column on the left and "Destination" column on the right. You can switch positon by clicking the button "Flip" in the middle. Please wait until the progress completed. 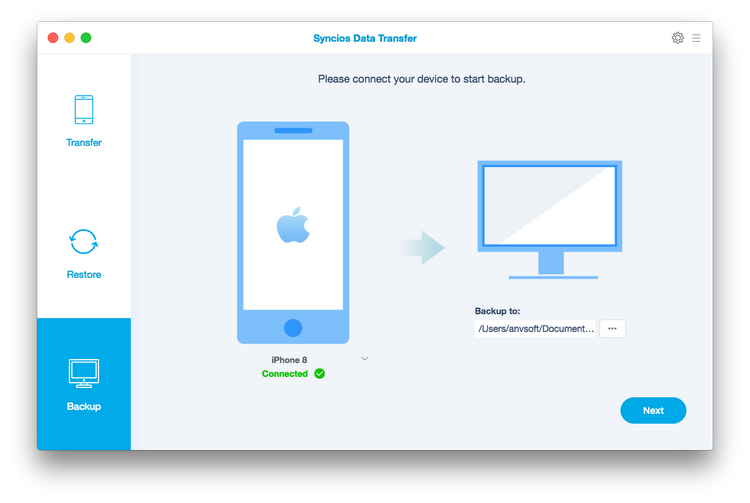 Firstly, run Syncios Data Transfer and select "Backup" mode on the main interface. Connect your device to the computer with an USB cable, customize the backup folder if you want, and then click on "Next" button. Then you are allowed to select your desired data to transfer. Check your desired data or select all, after loading completed, click on "Next" to start backup process. After a while, all selected contents will be backed up to the Mac. 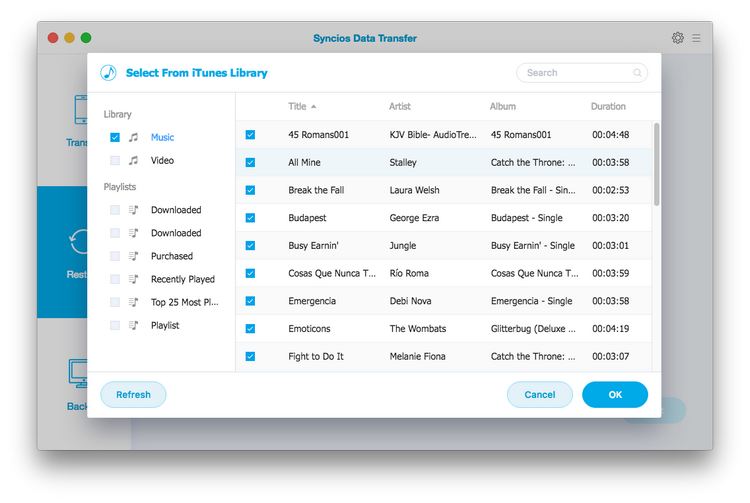 Besides that, you can also sync iTunes music and playlist to both iDevice and Android Phone.